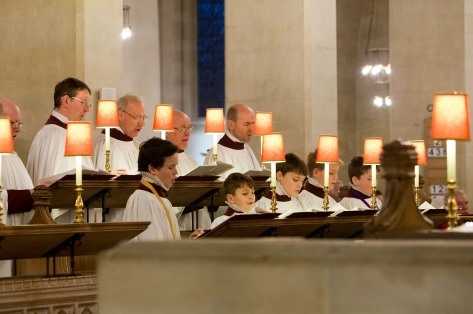 The Cathedral gives a warm welcome to many visiting choirs, both from the UK and abroad, to sing services during Cathedral Choir holidays, and on other occasions during the year. Choirs may visit for a full week, a weekend or to sing a single service. If you are interested in bringing your choir to sing, you should contact the Assistant Director of Music (but during 2019 please contact Anna Elliss as below), who acts as visiting choir co-ordinator. Although most visiting choirs wish to arrange their visit several months in advance, it is always worth making an enquiry at shorter notice.